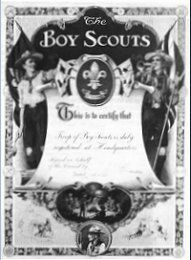 The Sliema Scout Group was formed in 1909 under the leadership of Mr. Dutton with Mr. Grech as his assistant. The Group was registered at Imperial H.Q. in 1910. The original Registration Certificate still hangs on the wall in Sliema H.Q. Between 1910 and 1916 other leaders of the Group included Lieutenant Briffa KOMR, Mr. O Dupuis and Mr. W. Chircop Kind. Mr. Anthony Ellul Mercer then took over the Group with Mr. Victor Muscat as his assistant. During the first World War 1914-18, the Scouts worked hard as Coast Watchers, Despatch Riders, Hospital Attendants and other useful jobs. The death of S M Ellul Mercer in 1920 was a blow to the Troop for he had been a good Scout Master. For the next two years, the Troop was run by Mr. V. Muscat. 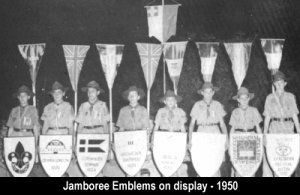 During this time the Troop was represented at the World Scout Jamboree which was held in England. We must remember that the trip was no three-hour flight but a sea trip taking several days. In 1922 Mr Muscat left Malta and the running of the Troop was entrusted to P.L.’s C Crockford and Ellul Mercer, as there were no leaders to take over. 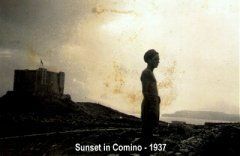 The Troop was expanded by the formation of the Sea Scouts in 1923 under the leadership of Mr. Sammut and Mr E Ferro, and the First GSL Nazzareno Grima was appointed. 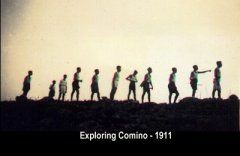 As the Troop had problems with accommodation, the Rover Crew was not formed until 1928 although they had been started in 1918. Further expansion took place in 1929 with the formation of the Wolf Cubs as they were then called. Mr. Mayo formed the Pack but as he joined the Sea Scouts his place was taken by Mr. P. Barbaro. 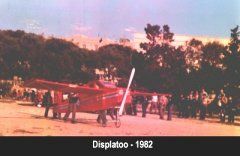 By the start of the 1930’s the Sliema Group had a flourishing Scout Troop, Sea Scout Crew, Rover Crew and Cub Pack in the Oak District. The Group Scout Leader was Mr. C. J. Crockford and he kept the group busy with many varied activities. The Thirties were very active years for all the Sections. In July 1934 Mr. Edward Tortell took over as Group Scout Leader, a post he held until 1965. An important event for the continuity of Sliema Scouting occurred in 1939 when the basement of the Sliema Government School became our HQ. The Group had experienced many difficulties with accommodation over the years and this permanent home was a welcome relief. The H. Q. was inaugurated by Lady Bernard in the presence of many distinguished guests. During this ceremony Lady Bernard announced that permission had been given to the Sliema Group, to be known as Bernard’s Own in memory of Sir Edgar Bernard who had done so much to help form firm foundations for Scouting in Malta. The War Years 1939-45 necessarily reduced the number of Scouting activities. Camps and hikes continued in spite of the difficulties prevalent at the time. Scouts are expected to overcome difficulties which they did during these difficult years – for example one year they went to camp by cab and the following year they went by jeep and returned by donkey cart – a far cry from our mode of transport today! It was not all fun and games during these terrible years, the Scouts did their share of war service as coastwatchers and air raid wardens – the latter could be dangerous at times. The sick in hospitals were not forgotten. The Scouts collected books and magazines, sorted them out and made sure that patients had plenty of reading material. After hostilities ceased normal Scouting activities were resumed. In 1946 an Air Crew was formed and proved to be very successful. During the latter part of the 40’s many camps, hikes, Church parades and sporting activities were held. The decade was rounded off nicely by a visit from Lady Olave Baden Powell, who unveiled a charcoal drawing of her late husband, Lord Baden Powell, on the wall of Sliema H.Q. This was the work of AS M/R G Vassallo. Lady Baden Powell was impressed with what she saw at Sliema HQ. 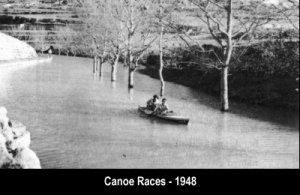 1948 saw the first of many Canoe Races held at Chadwick Lakes. Obviously, the success of these depends on the amount of rain that has fallen. The decade of the 50’s saw the Sliema Group continue to grow and expand. As usual, the Group took part in many activities. 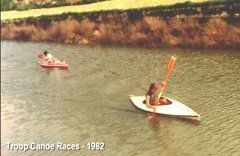 It was also to the forefront in Island activities and competitions. During 1951 the Rovers had a chance to cruise on “HMS Forth”. A very memorable experience. His Grace Michael Gonzi, Archbishop of Malta paid a memorable visit to our HQ. in 1958. In 1959 Sliema celebrated its Golden Jubilee. A special Jubilee Rally was held in December 1959 and despite adverse weather conditions, it was a great success. The celebrations should have been held in October but because of the heavy commitments of the Group, it had to be postponed until December. The Sixties were another busy decade for the Group. Hikes, camps, competitions all form an important part of a Scout’s life. In addition, he is expected to help the Community and the Sliema Group has never missed an opportunity to serve the Community. The Log Books contain many letters of thanks for “Jobs well done” by the Sliema Group. 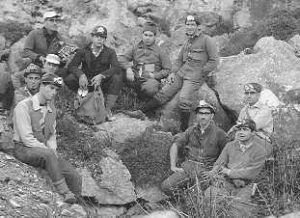 In the November 1964, a team of cave explorers from our group went in search of a cave entrance on Dingli Cliffs. What they had hoped for was discovering a new cave to explore; what they found was beyond all their wildest dreams – evidence of a family or community of Bronze Age period who may have used the cave as a home. A catastrophe had befallen this cave in that the extensive roof had collapsed some 3000 years ago and buried all their belongings where they stood. The cave was aptly named ‘Ghar Mirdum’ (Maltese for ‘Buried Cave’) by the team inspired by Franz Vella Bamber, after much debate. Research has been made on Ghar Mirdum, but nothing thorough has so far been published on these unique finds. 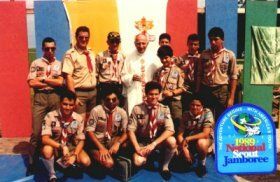 Paul Calleja-Gera (ex Scout Master, Senior Scout Leader and GSL – Sliema Group) built a website which he hopes will rekindle interest in the site, and justify the work carried out by this young team in the very dangerous environment so many years ago. It may otherwise be lost to modern historians studying our unique past. The Team working on the two-year exploration and excavation, with the MTV Film Team and Curator of Archeology – Jan 1965. You may see the details of the findings in Mr Calleja-Gera’s Diary, the many beautiful and unique artefacts found and a plan drawn as they were discovered. He includes also text from writings and lectures by Mr. Francis Mallia, then Curator of Archeology in Malta, a survey, and photographs. Extracts from a film made of the discovery by MTV in 1965. Paul hopes that enthusiasts and students of archaeology alike will find the evidence presented useful and will find time to comment on the contents to enable him to present a truer picture. It is not all work and no play – the visit by ” USS Springfield” gave the Scouts a chance to visit and tour this ship. In 1966 the American Ambassador and his wife, Mr. and Mrs. Feldman visited Sliema H.Q. Through their help five members of the Sliema Group were able to take part in the World Scout Jamboree held in Idaho in the USA- indeed an experience never to be forgotten. Mr. Edward Tortell resigned in 1965 and his place was taken by Mr. J. Camenzuli. He held this post until 1968 when Mr. A Wain became the Group Scout Leader. During the Seventies, the Group continued to grow. The usual round of camps, hikes and competitions were held as well as service to the community. The Sliema Group was instrumental in helping set up the San Gwann Group in April 1970. The first Mother and Son Camps were held in response to the popular Father and Son Camps organised by the Cubs, or rather, the Cub Leaders. The Ventures, formerly known as the Rovers were also very active during this decade. In 1971 new colours were presented to the Group by the BP Guild. The new North District Badge was also introduced. another honour for Sliema as it was designed by the then G S L Mr. A Wain. Mr. Wain was appointed District Commissioner in 1972 and the post of GSL was filled by Mr. V. Farrugia. When the “Ark Royal” visited Malta in 1974 the Scouts were invited on board. In 1976 Mr. Edward Tortell once again look over as G S L and 1977 saw the celebration of his Scouting Diamond Jubilee. The decade continued under his leadership and in 1979 we celebrated 70 years of Scouting. A special investiture ceremony was held together with an exhibition. The Eighties started with “Wings” still at the helm and the Group growing in strength. 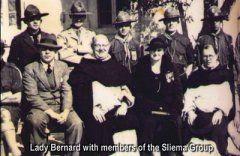 A good start for the decade was when some members of Sliema helped reform the St. Julian’s Group. Trips abroad featured highly in the programme during these years. Countries visited included Sicily, Switzerland, Germany and the U.K. These were very memorable occasions for the boys. “Wings” finally retired in 1983 knowing in his heart that he had done a good job! The new GSL was Mr. Kenneth De Martino. Throughout these years training not only of boys but of leaders has been an important aim of the Sliema Group. The boys are encouraged to achieve their awards and badges and the Leaders are encouraged to participate in training activities so as to improve their own skills which in turn they can pass on to the boys. 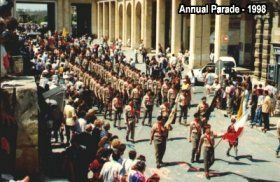 The holding of the World Scout Jamboree in Australia in 1987/88 gave the Group an opportunity of making sure that Malta was well represented at this event especially as so many Maltese have made this country their home. Taking part in a worldwide Jamboree is a wish of many Scouts, thus when the opportunity comes one makes the most of it. The decade of the Eighties finished with the Sliema Group celebrating eighty years of Scouting. In preparation for this, the Sliema H. Q. was renovated, a job which had been pending for a long time. The newly restored H.Q. was opened with due ceremony on 10th December 1988. A Carvery Night was held at the Union Club, Sliema on 19th May 1989 in the presence of H.E. C. Tabone. President of Malta and other distinguished guests, besides Scouters, Scouts’ parents and friends. To commemorate our longest serving G S L – Mr Edward Tortell, a bronze bass relief was unveiled at Sliema H. Q. on 21 July 1989. During this eventful year, a Group of Venture Scouts were fortunate to travel to the USA to take part in the National Scout Jamboree. The climax to the celebrations came on 29th October 1989 when a bronze bust of our founder, Lord Baden Powell was unveiled by H. E. Censu Tabone, President of Malta. The nineties saw the Group continue to grow. Another first for the Sliema Group was the appointment of the first female Group Scout Leader Ms Eileen Galea in 1991 when Kenneth De Martino handed over the reigns to take up the post of Hon General Secretary of the Scout Association of Malta. 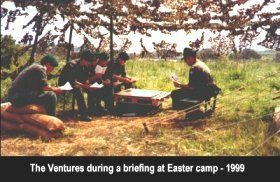 Activities continued apace and the next Jamboree in South Korea was high on the Agenda. Once again Sliema was well represented at this truly worldwide event. Camps, outdoor activities and community service were all part of the everyday agenda of the Group. Links were forged with the newly formed Local Council and every effort was made to strengthen such links. 1995 was a busy year. The Venture Scouts went on a parachuting trip to Holland and the Troop took part in the 18th World Scout Jamboree which was also held in Holland. Both were exciting and memorable occasions for all participants. 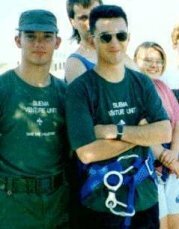 The year ended on a very sad note as our Venture Scout Leader Matthew Aquilina went missing on a flight from Tunisia to Malta in December 1995. Despite our sadness, the Group soldiered on. In 1996 Mr Joe Agius took over as Group Scout Leader and in 1997 this post was taken over by Mr David Soler. The improvements to HQ were continued throughout this period and the fruits of labour can be seen in headquarters today. A truly fitting headquarters for all our members. 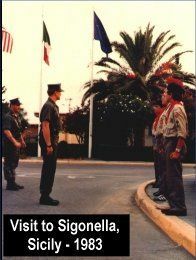 In 1998 we were honoured by a visit to our premises by Dr Jacques Moreillon the Secretary General of the World Organisation of the Scout Movement. During his visit, a mini Assembly was held which gave not only our Scouts but Scouts from several Groups in Malta, the opportunity to put questions to Dr Moreillon. 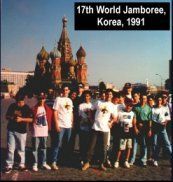 1998 was rounded off by a trip to Chile to attend the 19th World Scout Jamboree. It is now a firm tradition with the Sliema Scouts to make every effort to send a contingent to the World Scout Jamboree wherever it may be held. The 90th birthday is a fitting end to this millennium and the Group looks forward with confidence to the next millennium. Our sincere thanks go to all past and present leaders for giving freely of their time and skills for the benefit of the young boys in their care. In the Summer of 2002, the Venture Unit hosted a group of Venture Scouts from the 4th Newcastle Scout Group and the deed was returned when the Unit went to the UK in July 2004 to visit their Scout Group. During this trip the Ventures took part in a multitude of activities such as indoor climbing and rafting and took part in the Sunderland District Mountain Activities (DMA) Challenge, a hill walking competition for Scouts, in the Lake District. They were the first team from outside the UK to ever participate and their route took them up 10 hills, the highest of which, Scafell Pike (at 987m) is the highest point in England. The team proudly returned to Malta with the DMA shield after placing first. In 2003 Mr Andrew Cutugno took over as Group Scout Leader from Mr David Soler. In 2005 both the Pack and The Troop Sections took their members to a Scout Campsite in the UK (Phasels Wood). 2007, The Centenary of Scouting around the world! Our Group was again present at the World Scout Jamboree, this time in Essex in the UK. A strong participation of 25 Scouts and 10 Leaders, of the leaders present, Mr David Darmanin (AGSL) was Sub-Camp Chief of the Glacier Sub-Camp, Mr Ray Manduca (AGSL) was IST assigned to the Glacier Subcamp, Mr Kevin Camilleri (SL), Mr Timmy Cutugno (ASL) and Mr Anthony Debono (VSL) were Troop leaders for the Sliema contingent, Mr Mark Darmenia, Mr Michael Sapienza, Mr John Debono, Mr Jean Marc Chapelle and Mr James Attard Kingswell (all Assistant Scout Leaders) were part of the International Service Team (IST). After the Jamboree, we saw the movement of some leaders in the group, mainly Mr Kevin Camilleri, who moved on to Island Headquarters to become the Commissioner for Scouts and Mr Timmy Cutugno who took over as Scout Leader. At the beginning of the Group’s Centenary year in 2009, Mr Andrew Cutugno handed over the GSL plume to Mr David Darmanin, although he continued to support the Group in the role of AGSL. During this time the Group continued to be active with outdoor activities and geared up to celebrate it’s first 100 years in style. In 2012 the group started accepting female members in the Pack. 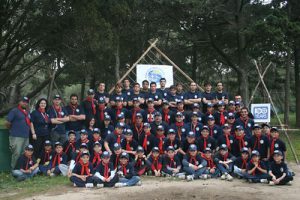 During 2013 the group took a bold decision to change the image of scouting. The group leadership, with feedback received from the members, decided that the group will not participate in any marching parade in uniform, this meant that participation at Church parades and annual parade where not to take place. The group leadership also decided that the group should still participate in these events, however in a more Scouting way and in a way that truly used the SPICES. In the beginning of 2014, the Troop started accepting female members in the Troop. In the beginning of 2015, Mr David Darmanin handed over the Group to Mr. Timmy Cutugno, although he continued to support the Group in the role of AGSL.